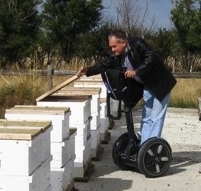 Bad Beekeeping is the natural continuation of an older website that I started in October, 1995. That's right, it's been almost twenty years since non-geeks like me have been setting up, writing, and coding web pages for folks like you. Somehow, according to the statistical analytics guys, over a million individual (unique) visitors have found and used the site. Certainly, it is not as popular as it was the first year, when there were only three beekeeping websites in the world, back in '95. For a while, getting a thousand visits a day was not uncommon. But in the years since (especially within the past five years) there have been a gizillion great new sites. A lot of them are much better than mine. I'm really glad that things have gone this way. The world of information and connection has flipped things up-side down. I love it. Almost anything I want to know is usually within a few quick clicks. Once I find what I'm looking for - a number, date, idea, opinion - I find at least two more unrelated websites to see if what I've learned is believable. I have around six hundred bee books and several bee magazines coming into the house, so I often have hard copy material to also check out. But, of course, there is the winnowing process - throwing out the garbage while snatching the bits of reliable stuff. About the money. There isn't any. I've created all of this just for fun, not money. I've never placed advertisements on these pages, except a few links to the Amazon book shop. But the books I link are books I've chosen, without the author's or publisher's knowledge or feedback. If I like a book, and think you might find it useful, I put it on my site with a link - buy the book if you like. I think there might be twenty such links on the site. Because I haven't taken anyone's money, there is no editorial directive for me to promote anything for anyone. 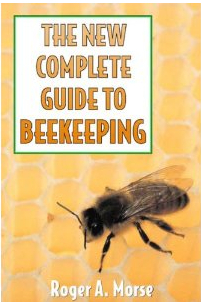 Read parts of this website's bestselling book: Bad Beekeeping! - A best-seller in the honey bee world! This 5-Star rated book available from amazon.com is a great introduction to keeping honey bees and a fantastic story about the life of a beekeeper! Grant Hicks, a commercial beekeeper, wrote in Hive Lights magazine: "The most impressive honey bee literature that has come my way is a new beekeeping book, Bad Beekeeping." Read more reviews about the book here. About me. I'm real. I was a beekeeper for many, many, many years. I still find the bees interesting. But thee honey is too sticky for me, so I don't make any. I'm much happier studying bee behavior, honey bee biology, nectar sources, hive structures, the history of beekeeping, and the social life and habitat of that strange creature, the beekeeper. Though I produced well over a million pounds of honey (almost entirely without hired help) over a matter of a few decades, and raised a few thousand queens, I'm no longer extracting or caging. My day job is in a type of science called geophysics. That's the study of the whole Earth, using maths and physics to understand what's happening in, on, and over the planet - we use magnetism, gravity, seismic, nuclear, and thermal energy to postulate, theorize, and guess what's going on in places we'll never get to visit. Like the Earth's inner core, for example. It's not all esoteric fun - results may help calm climate change, tame lava flows from volcanoes, and give early warnings of earthquakes. I hope you enjoy this website. If you can think of ways to improve the place, or if you want to know more about what's happening to fuzzy buzzy critters, please send me a note. I'd be glad to hear from you.